Posted by Gyaniz in News You Can Use, Sports, Trivia, TWTW-The Week that Was. Now known as the giant killer who led to Rafael Nadal’s exit in the first round from Wimbledon. 2012- defeated Thomas Berdych in 1st rd of Olympics. 2010- retired against Rafael Nadal in Exxonmobil open 3rd rd. 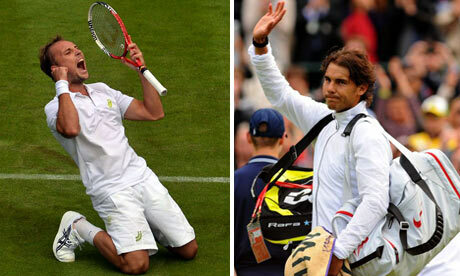 2013- defeated Rafael nadal in Wimbledon 1st rd.